The great thing about the holiday season, besides the gifts, of course, is the opportunity to spend valuable time with the family and other loved ones creating new holiday traditions. Holiday traditions are important in every family, regardless how you celebrate the holiday. Holiday traditions provide cherished and meaningful lifelong memories and enable more time together as a family. 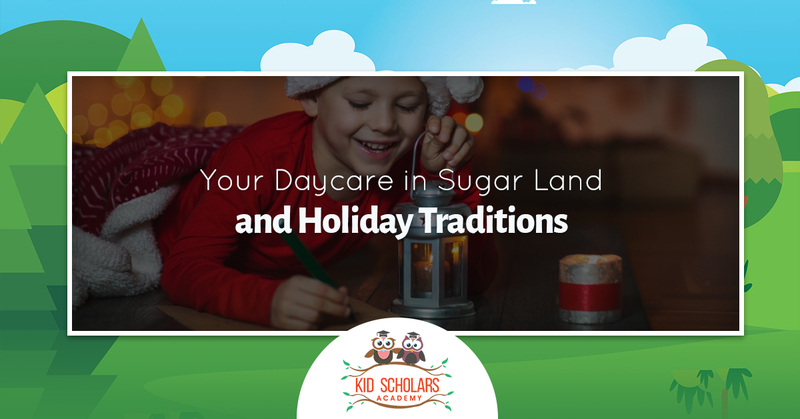 Kid Scholars Academy, your daycare center in Sugar Land, offers meaningful holiday traditions to start sharing with your family. In this age of electronic devices, nobody actually sits down and writes letters anymore. That needs to change. Instead of texting or sending an email to Santa, sit down with your children and write a letter. The best part about this tradition is that you can save the letters your children wrote and break them out and read them every holiday season. Start the holiday season off by taking the children to a tree farm. The chances are you will find the perfect tree year after year. In addition, many tree farms offer other activities like hay rides and sleigh rides. If you are lucky, Santa might even show up. Christmastime is the time of year when cookies and cocoa are best. But you can do better than just serving up hot cocoa. You can serve everyone a cup of cocoa and set up a station filled with mini marshmallows, colored sprinkles and whipped cream. Yummy! Pack up the kids, some hot chocolate and a few snacks and head out for an evening of holiday light watching. Drive around different neighborhoods checking out the awesome lights and decorations. Some people really put a lot of time and effort into their displays. Gather the family one evening and build a gingerbread house. All you need is some gingerbread and plenty of frosting to hold everything together. One way to make room for the new toys Santa will be bringing, have the children clean out their toy boxes and gather up toys they have outgrown. This is the perfect time of year to start teaching your children the importance of generosity. Plan a special meal to celebrate the holiday and your heritage. Start by asking everybody what their favorite dish is and cook them up. This is one meal each person in your family will savor. You probably have hundreds of selfies and pictures of your kids on your phone, but you are lacking a family portrait. If you start taking a picture of the family during the holidays this year and keep it up as a tradition, you will soon have a stack of family portraits tracing your lives through the years. So go ahead and set an appointment with a professional to have the family photo taken. 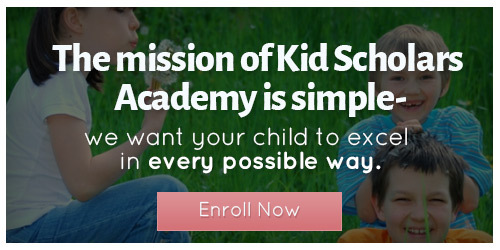 And if you are interested in daycare for your children, give Kid Scholars Academy a call.